اولویت اول در عمل جراحی اورتوپدی، کاهش التهاب و ترومای ناشی از برش و دستکاری بافت های نرم اطراف مفاصل می باشد. کاهش التهاب، باعث تسریع ترمیم زخم بیمار و بهبودی سریعتر آن می شود. - استحکام و ایمنی بیشتر در بخیه های منقطع ( Interrupted suturing ). - موثر و کارا تر در بستن بخیه های ممتد (Continuous suturing ) در مقایسه با نخ های جراحی معمول[8-1]. 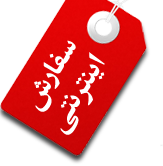 تنها نخ جراحی آنتی باکتریال موجود در بازار است. 1. Ethicon, Inc. or Ethicon Endo-Surgery, Inc., Data on file. 2. Eickmann T, Quane E. Total knee arthroplasty closure with barbed sutures. J Knee Surg. 2010;23(3):163-167. 3. Einarsson JI, Chavan NR, Suzuki Y, Jonsdottir G, Vellinga TT, Greenberg JA. Use of bidirectional barbed suture in laparoscopic myomectomy: evaluation of perioperative outcomes, safety, and efficacy. J Minim Invasive Gynecol. 2011;18(1):92-95. 4. Levine BR, Ting N, Della Valle CJ. 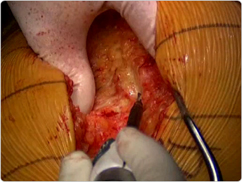 Use of a barbed suture in the closure of hip and knee arthroplasty wounds. Orthopedics. 2011;34(9):e473-e475. doi: 10.3928/01477447-20110714-35. 5. Moran ME, Marsh C, Perrotti M. Bidirectional-barbed sutured knotless running anastomosis v classic Van Velthoven suturing in a model system. J Endourol. 2007;21(10):1175-1178. 6. Rodeheaver GT, Pineros-Fernandez A, Salopek LS, et al. Barbed sutures for wound closure: in vivo wound security, tissue compatibility and cosmesis measurements. In: Transactions from the 30th Annual Meeting of the Society for Biomaterials; Mount Laurel, NJ; p. 232. 7. Vakil JJ, O'Reilly MP, Sutter EG, Mears SC, Belkoff SM, Khanuja HS. Knee arthrotomy repair with a continuous barbed suture: a biomechanical study. J Arthroplasty. 2011;26(5):710-713. 8. Warner JP, Gutowski KA. Abdominoplasty with progressive tension closure using a barbed suture technique. Aesthet Surg J. 2009;29(3):221-225.